Victorian literature is the literature produced during the reign of Queen Victoria (1837 – 1901). England, during this time, was undergoing a tremendous cultural upheaval; the accepted forms of literature, art and music had undergone a radical change. The Romantic Movement, which preceded the Victorian Renaissance, had often portrayed the human pursuit of knowledge and power as a beautiful thing, for example in works of Wordsworth. Poetry written during the reign of Queen Victoria from 1837 to 1901 is defined as Victorian poetry. The defining characteristics of Victorian poetry are its focus on sensory elements, its recurring themes of the religion/science conflict, and its interest in medieval fables and legends. During the Victorian era, however, there was a lot of radical social change and as such, many poets of this time didn’t like the romanticized version of society. The Victorian poetry is, thus, divided into two main groups of poetry: The High Victorian Poetry and The Pre-Raphaelite Poetry. The most important and obvious characteristic of Victorian Poetry was the use of sensory elements. Most of the Victorian Poets used imagery and the senses to convey the scenes of struggles between Religion and Science, and ideas about Nature and Romance, which transport the readers into the minds and hearts of the people of the Victorian age, even today. Lord Alfred Tennyson lives up to this expected characteristic in most of his works. One notable example is the poem Mariana, in which Tennyson writes, The doors upon their hinges creaked; / The blue fly sung in the pane; the mouse / Behind the moldering wainscot shrieked. These images of the creaking door, the blue fly singing in the window, and the mouse with the moldy wood panelling, all work together to create a very definite image of an active, yet lonely farmhouse. Another characteristic of Victorian poetry was the sentimentality. Victorian Poets wrote about Bohemian ideas and furthered the imaginings of the Romantic Poets. 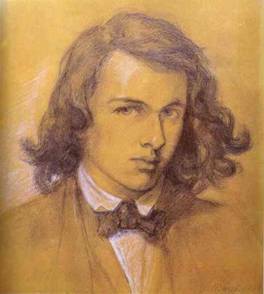 Poets like Emily Bronte, Lord Alfred Tennyson prominently used sentimentality in their poems. The husband and wife poet duo, Elizabeth Barrett-Browning and Robert Browning conducted their love affair through verse and produced many tender and passionate poems. Most prominent of which are Elizabeth Barrett-Brownings Sonnets from Portuguese, the most notably her If thou must love me and How do I love thee. Lord Alfred Tennyson, arguably the most prominent of the Victorian Poets, held the title of Poet Laureate for over forty years. His poems were marked a wide range of topics from romance, to nature, to criticism of political and religious institutions; a pillar of the establishment not failing to attack the establishment. His Charge of the Light Brigade was a fierce criticism of a famous military blunder; while the Princess dealt with pseudo-chivalry common among the royalty. The poems of In Memoriam dealt with Tennyson’s exploration of his feelings of love, loss, and desire. The reclaiming of the past was a major part of Victorian literature with an interest in both classical and medieval literature of England. The Victorians loved the heroic, chivalrous stories of knights of old and they hoped to regain some of that noble, courtly behaviour and impress it upon the people both at home and in the wider empire. The best example of this is Alfred Tennyson’s Idylls of the King, which blended the stories of King Arthur, particularly those by Thomas Malory, with contemporary concerns and ideas. Poets like Gerard Manley Hopkins drew inspiration from verse forms of Old English poetry such as Beowulf. The Pre-Raphaelite Brotherhood also drew on myth and folklore for their art, with Dante Gabriel Rossetti regarded as the chief poet amongst them, though modern scholars consider his sister Christina to be a stronger poet, of the two. Comic verse abounded in the Victorian era. Magazines such as Punch magazine and Fun magazine teemed with the humorous invention and were aimed at a well-educated readership. The most famous collection of Victorian comic verse is the Bab Ballads. Victorian Poetry, thus, marks an important era in the history of poetry, providing the link between the Romantic Movement and the Modernist Movement (Pre-Raphaelitism) of the 20th Century. Above were the key Characteristics of Victorian Poetry. You can also read more information about 5 famous poets of the Victorian age.